The Palestinians called on the Arab nations Monday to boycott or lower their representation at a summit in the Middle East, co-organized by the United States, while President Mahmoud Abbas of the Palestinian Authority traveled to Saudi Arabia to "discuss the dangers of the Palestinian case ". The conference in Poland is generally seen as a US-led effort to isolate Iran that had not been invited. The Palestinians cut off all contacts with the Trump administration after it recognized Jerusalem as the capital of Israel in December 2017 because it said it was unfairly biased against Israel. Abbas will meet King Salman to discuss "the current political situation and the dangers facing the Palestinian cause, especially Jerusalem," said the Palestinian leader's office. The official Palestinian news agency WAFA quoted the Palestinian ambassador in Saudi Arabia as follows: "The visit is a continuation of the communication between the two leaders under difficult international circumstances, as well as attempts to end the Palestinian cause." A senior Palestinian official said the visit had been invited by the Saudi king, and conversations were expected to focus on a peace plan that the US says is working. The Palestinians have preventively rejected the plan and said that the US President Donald Trump's mideast team is hopelessly biased. The US has said that the Warsaw Conference is aimed at promoting peace and security in the Middle East. But it seems to be aimed at building a united front against Iran, a country that sees both Israel and the Saudis as a serious threat. US officials say Trump's chief official and son-in-law, Jared Kushner, will also discuss the Israeli-Palestinian conflict. It is not clear whether this will contain details of his peace plan. 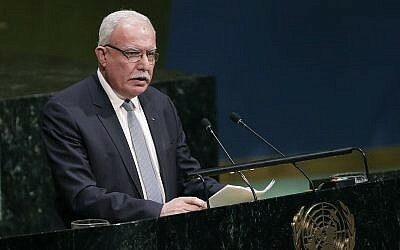 Earlier on Monday, the Palestinian foreign minister opened the Arab countries to boycott or lower their representation during the Polish conference, which begins on Wednesday. Saudi Arabia and the United Arab Emirates are sending foreign ministers and Prime Minister Benjamin Netanyahu is present. 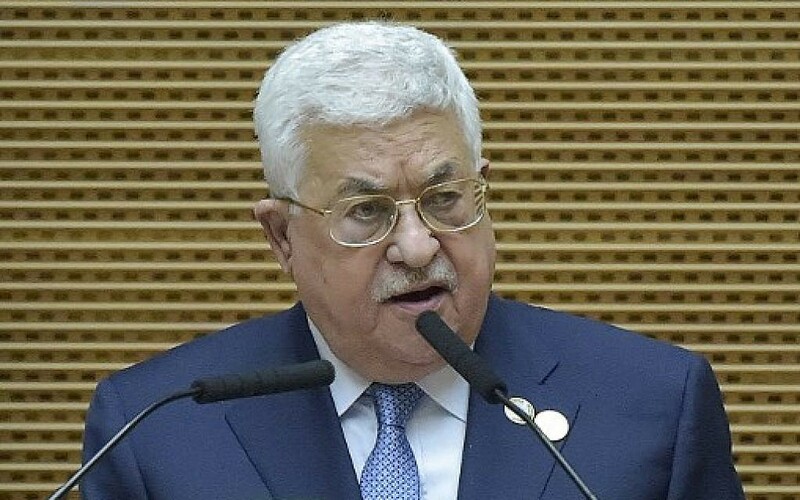 Riyad al-Malki told the Voice of Palestine that the Palestinians "consider the conference in Warsaw as a conspiracy against the Palestinian cause." Most Arab countries have renounced relations with Israel without significant progress towards peace with the Palestinians. But many Gulf states share Israel's concerns about Iran's growing influence. 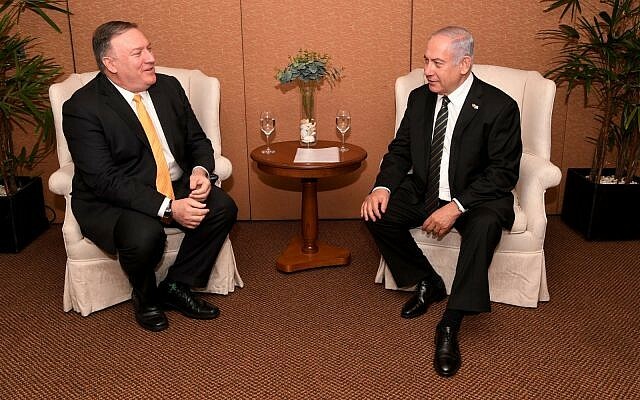 Netanyahu will be present during the two-day conference in the Middle East & # 39; have a meeting with Mike Pence, American Vice President Mike Pence and US Secretary of State Mike Pompeo. Concerns are voiced that the summit would be too focused on Iran, a senior US official said last month: "It is important to emphasize that this is not an anti-Iran meeting or coalition-forming exercise." On Sunday, however, Netanyahu stated that his focus would be the Islamic Republic. "The first item on the agenda is Iran – how can you keep it from being entrenched in Syria, how you can stop its aggression in the region and especially how to prevent Iran from getting nuclear weapons," Netanyahu said in his weekly cabinet meeting. Chief Palestinian peace negotiator Saeb Erekat said last week that the Palestinians would not be here. "Our position remains clear: we are not going to attend this conference and repeat that we have not authorized anyone to speak on behalf of #Palestine," said Erekat. Meetings should address a number of issues, including "extremism, rocket development and proliferation, trade and safety at sea, and threats to proxies across the region."